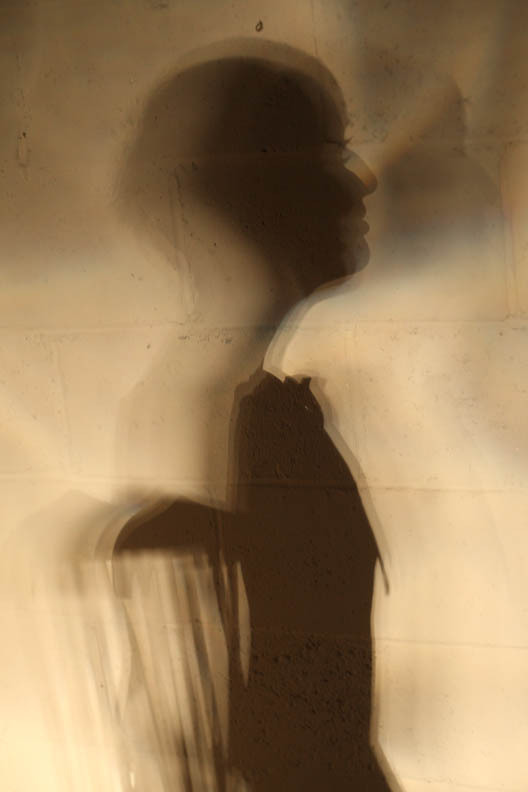 ellen cherry is a singer, songwriter, musician, designer, artist, producer, recording engineer, and human. Once a character in a novel, ellen cherry sprung from the pages of a book in 1997, and began her life as a living, breathing, dynamic performer. 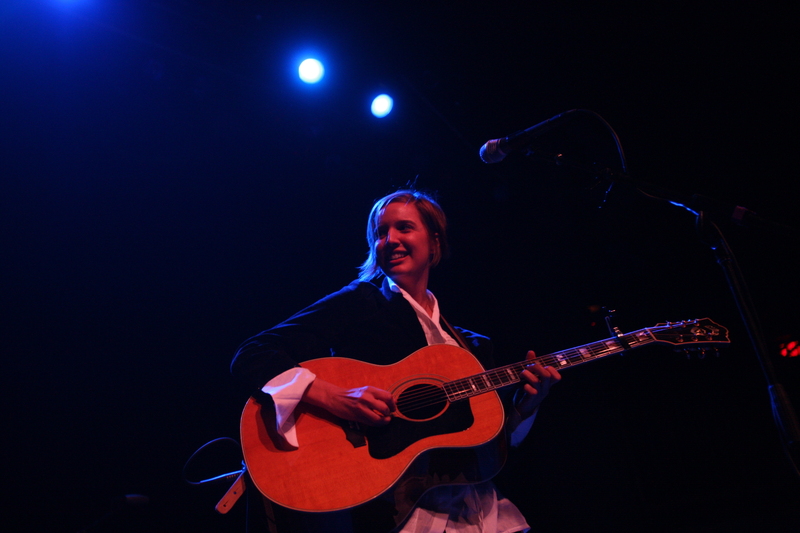 Mixing equal parts of pathos and humor throughout her songs, ellen cherry is mysterious and powerful on stage. She seamlessly fuses her love of History, Poetry, and Literature with the Usual Suspects of Love, Loss, and Despair, with a powerful, commanding voice and a command of Power Chords on her guitar. An artist incapable of stopping the process of creation, ellen cherry has recorded and released original music continuously since 1997. She was awarded the Maryland State Arts Council Individual Artist Award for Solo Vocal Performance in 2006, and has scored two independent films. Her 2005 album, Years, has been licensed to the Oxygen Network, MTW, and Soap.net. She has been steadily building a fan base by touring throughout the US, Germany and Switzerland as a full-time performing songwriter and musician. Her style has been described as â? ?spunky downer pop for History buffsâ? and, yes, she is over 5â? ?10â? tall! 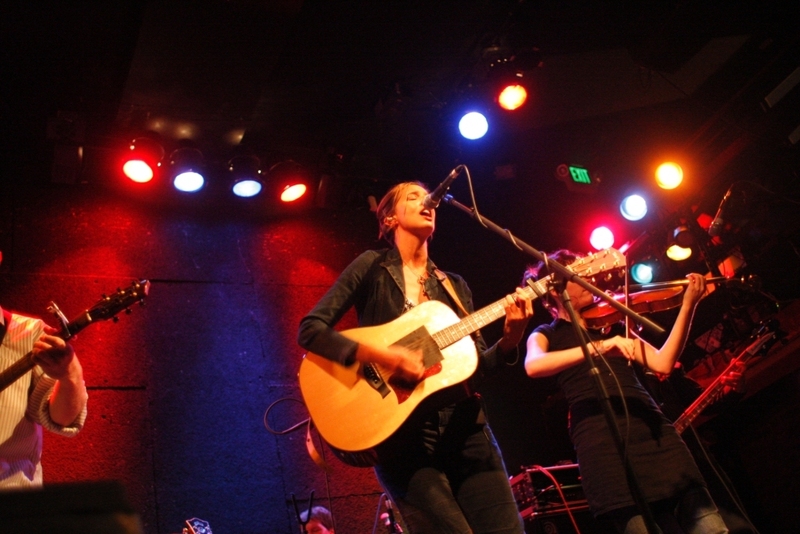 Although she has spent the last four years on the road primarily as a solo artist, in 2008, ellen cherry assembled a 5 piece band to promote her newest disc of original music, heart like a lion. The new album features ellenâ? ?s wide range of musical styles. From lo-fi indie rock to wistful clever love songs to the odd instrumental, the new disc has been well received by fans and has begun to garner attention in new markets. ellen is hard at work on her next recording project which includes a theatrical anti-War piece, a swan song for the Environment and even more songs about Hoboes. NEW INFORMATION WILL BE ADDED SOON ABOUT THIS PROJECT! 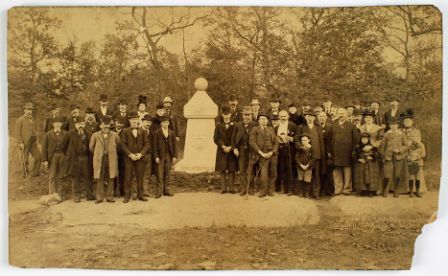 MISSION and PURPOSE: To research, explore and further understand Marylandâ? 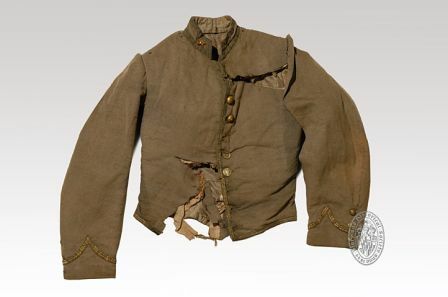 ?s unique place in the Civil War through texts, objects, and primary sources. To create 12-15 songs (a full length recording on Compact Disc) that portrays this research for the purpose of accompanying the Maryland Historical Societyâ? ?s 2011 exhibit and Expos. In 2005, I recorded an EP project of 6 songs called "Years" that was heavily inspired by Women's History. I casually explored a few women's stories, taking facts and details and embellishing them into a sort of fictional-truth mish mash. 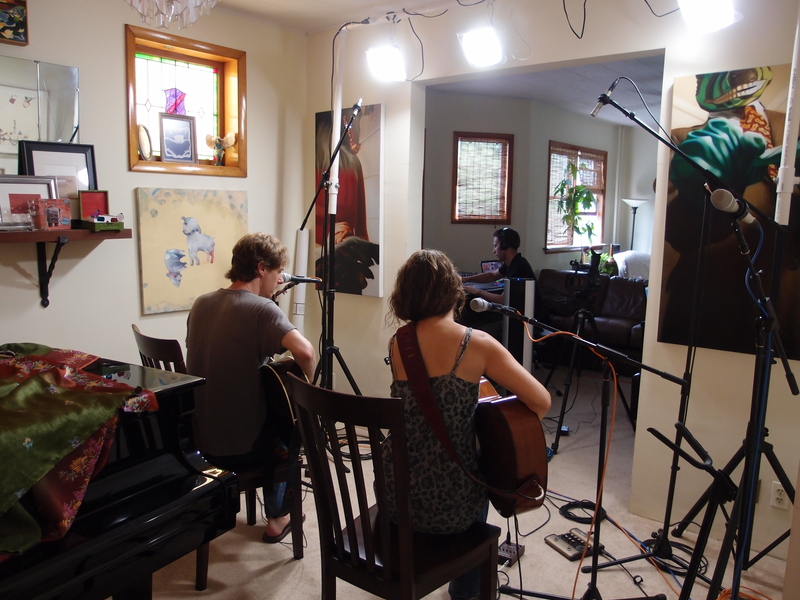 The songs were a result of my participation in February Album Writing Month (www.fawm.org), an online gathering where songwriters meet every year to attempt to write 14 songs in 28 days. The pressure pushed me to source something very dear to my heart: History. For example, "1933: To California" was inspired by Dorothea Lange's iconic photograph "Migrant Mother" that documented Florence Thompson's struggle to survive. "1912: Violet Swims but the Ship Sinks" takes its title from Violet Jessup's survival of the Titanic sinking, but is also about the musicians who drowned with the ship. "1864: A Civil War Bride" is the sad, but hopeful imaginary conversation of a woman with her husband, who has felt the call of patriotic duty. Fast forward to 2009; the songs, now 4 years old have blossomed and changed in structure and sound and so I wanted to re-visit many of them in another recording. I also had new songs that needed to be presented in recorded form, so I added another 6 songs and I made the full length "(New) Years". I released this project in February 2010 and have had a great year of touring and playing the songs from the album. I have decided to re-press this disc, but with different artwork and am currently working with a photographer to capture a picture that really represents the music that I am presenting. ellen cherry and Nana Projects: "Alzonzo's Lullaby", "Eureka!" 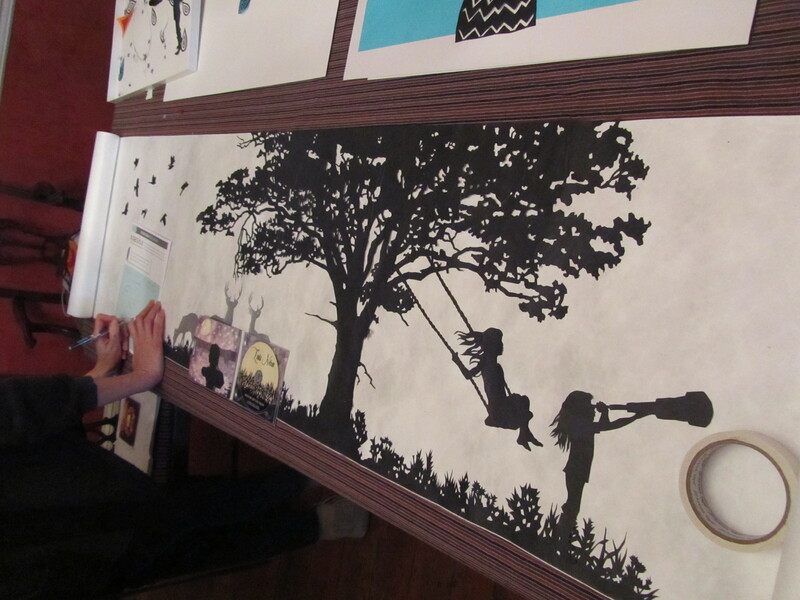 and "Opal Whitely"
My first project with Nana Projects was the score for a shadow puppet piece entitled "Alonzo's Lullaby", which was about a circus train wreck that occurred south of Chicago in 1918. My co-composer and performer on this show is Nicholas Sjostrom. 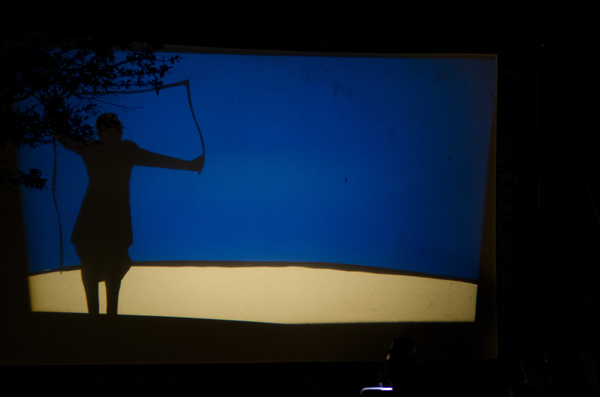 The show was awarded the highest national Puppetry Award, the USA-UNIMA Citation of Excellence in 2010. 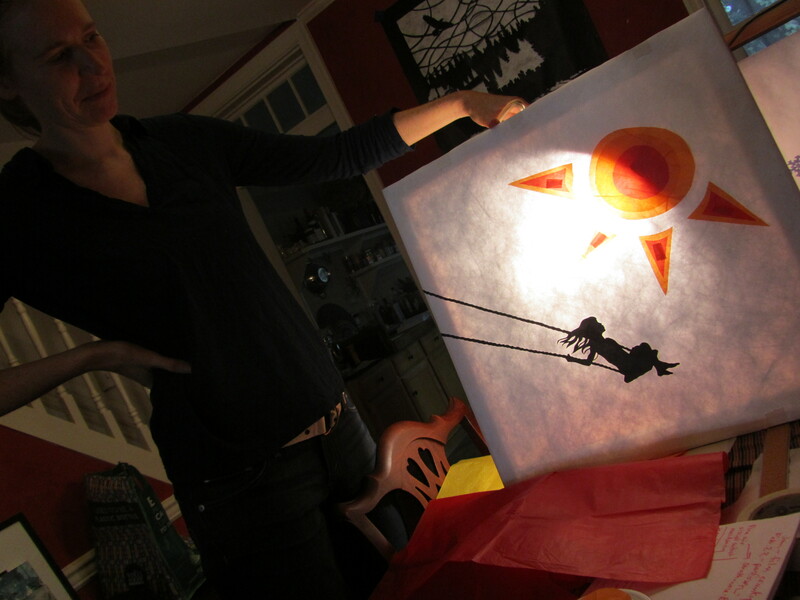 Nana Projects has asked me to create another or their shadow puppet pieces, "Eureka!" (inspired by Edgar Allan Poe.) 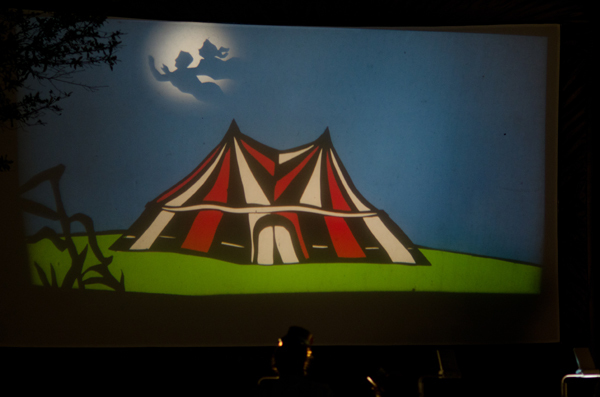 We debuted this piece at the 2011 New Orleans Fringe Festival, and the official world premiere was in January 2012 at Joe's Emporium in Washington, DC. I reunite with Nana Projects in 2013 to compose the score for our next piece "Opal" which will be about the diary and life of Opal Whitely. Pickett's Charge occurred on July 3, 1863, on the last day of the Battle of Gettysburg during the American Civil War and was considered the high water mark for the Confederacy, from which they never fully recovered. Over 50% of the men that went into this battle died--a huge casualty amount and great psychological cost, as well. On March 19, 2010, the 7th anniversary of the US invasion of Iraq, I was thinking about the complicated motives of why people war, the consequences of military action, both intended and unintended, and the horrible after-effects that alway follow any conflicts. Around the same time, there was a news report about a supernova star's light that was finally reaching Earth, after exploding several million years ago, and I was fascinated by the dichotomy in these two ideas and that, as a species, plenty of our thinking tends towards the painfully small-minded. (I am not excluding myself from this thinking!) 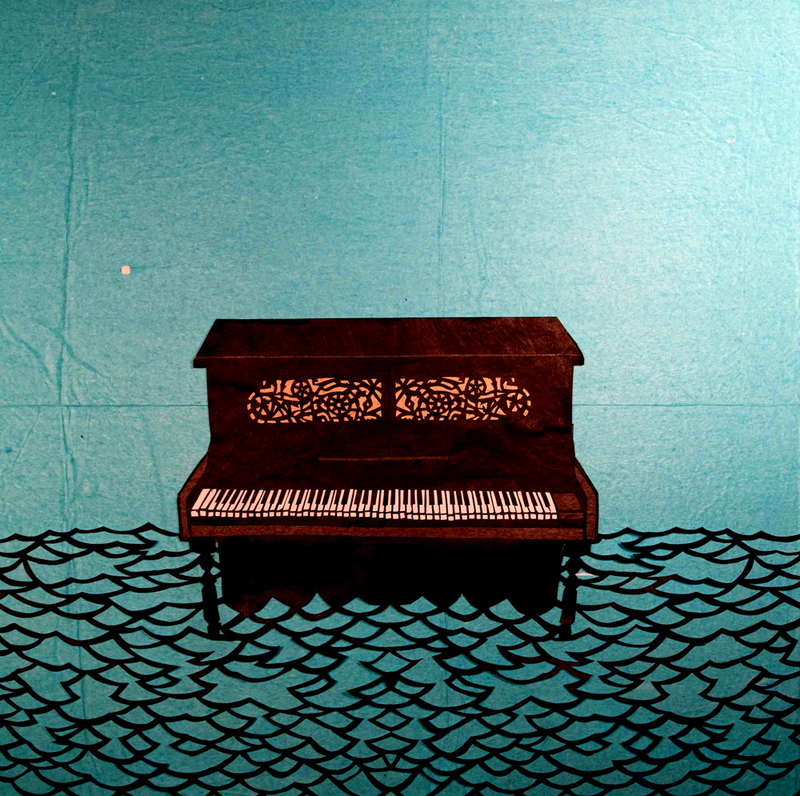 All of these thoughts contributed to the writing of this song and recording it for my 2012 EP "Please Don't Sell the Piano". I hope you'll enjoy seeing Katherine's visual interpretation of my song which was filmed by Michael Patrick O'Leary (www.michaelpatrickoleary.com) in high definition for you, here. This is truly "handmade" music and visual and performance art. Please spread the word about this video and pass the link and always, continue to support independent musicians and artists so they can continue to create! Thank you for listening and watching! Thank you to all the Indiegogo supporters who made this possible! SPECIAL NOTE! As part of my residency in the Strathmore Artist-in-Residence program, I was asked to premiere a new work that had not been performed before. As a special treat, Katherine and I premiered "Pickett's Charge", both the crankie and the song, as part of my final performance of my residency and it occurred on February 22, 2012, at the Strathmore Mansion. Special thanks to Strathmore for encouraging collaboration and for giving us the space and time for this unique presentation. Song: "Pickett's Charge" from "Please Don't Sell the Piano"
Created by Katherine Fahey, commissioned for "Pickett's Charge" crankie for ellen cherry's song of the same name. Pickett's Charge occurred on July 3, 1863, on the last day of the Battle of Gettysburg during the American Civil War and was considered the high water mark for the Confederacy, from which they never fully recovered. 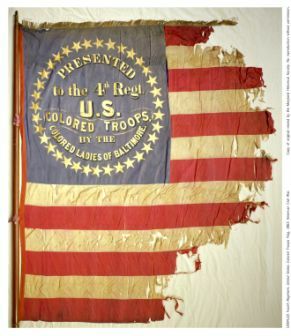 Over 50% of the men that went into this battle died--a huge casualty amount and great psychological cost, as well. On March 19, 2010, the 7th anniversary of the US invasion of Iraq, I was thinking about the complicated motives of why people war, the consequences of military action, both intended and unintended, and the horrible after-effects that alway follow any conflicts. 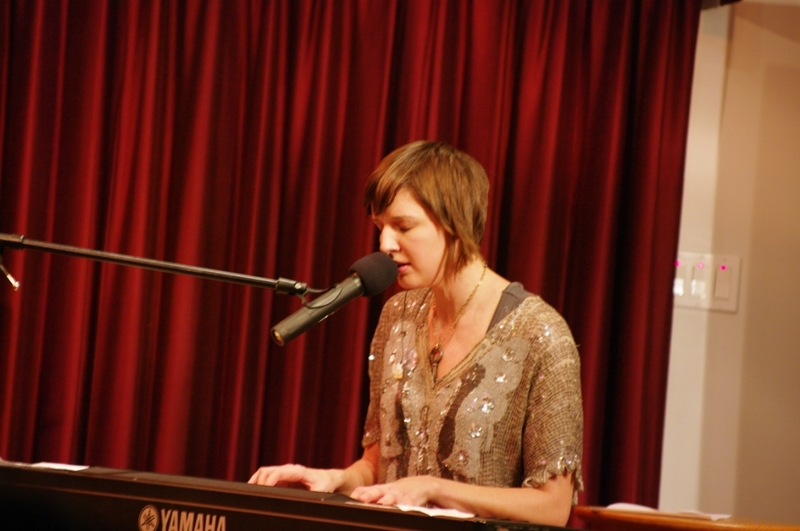 "Listen In with ellen cherry"
"Listen In with ellen cherry" is a once monthly, live, web-streaming short form broadcast featuring the music and arts scene in Baltimore and hosted by Emmy nominated, Baltimore-based singer, songwriter and producer, ellen cherry. Well...they shipped me the piano! 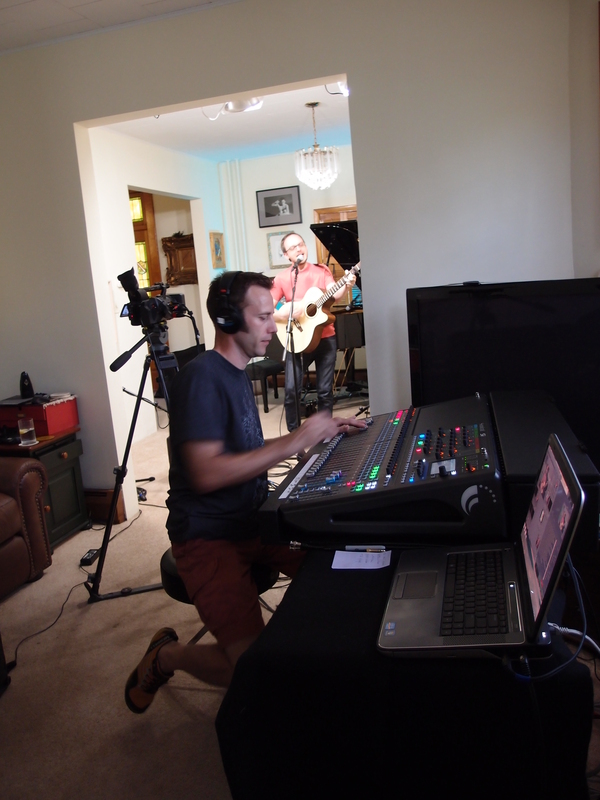 Too big to take on tour, I decided it would be great to do a live, streaming show from the room where the piano lives....featuring an interview and performance with some of my hard working and incredibly talented musician, artist, and performer friends. Every month, 30-40 minutes of your time (well spent!)" The performance is free to you, all you have to do is listen in. 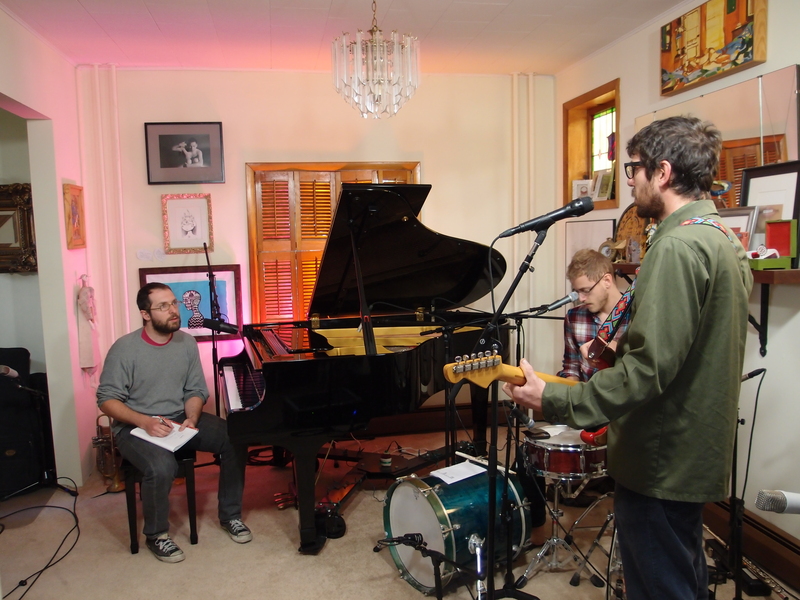 full episode from my once monthly, short form webcast/interview/performance show featuring Baltimore area musicians and artists, called "Listen In with ellen cherry"...this episode featured myself as the guest! 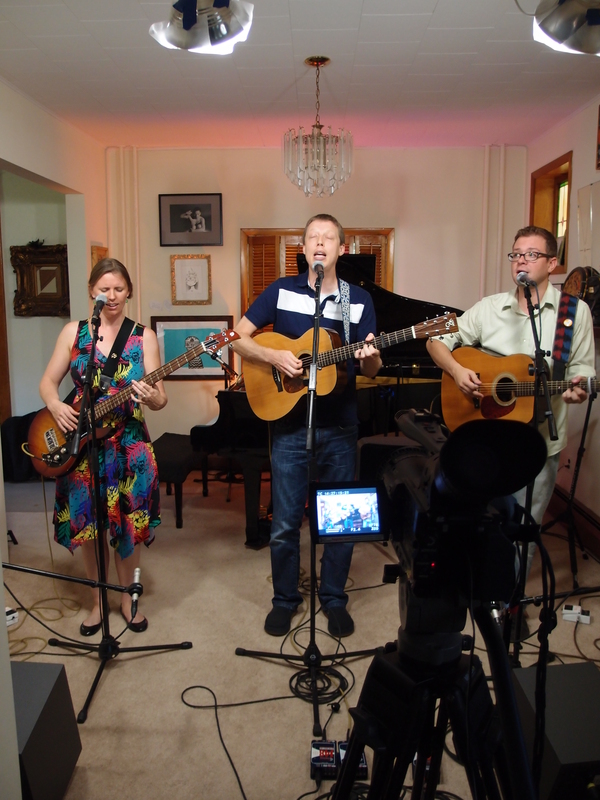 complete broadcast from my once monthly, short form webcast/interview/performance show featuring Baltimore area musicians and artists, called "Listen In with ellen cherry", featuring Mike Beresh. video snippets from my once monthly, short form webcast/interview/performance show featuring Baltimore area musicians and artists, called "Listen In with ellen cherry"
In 15 years of writing, recording and independently producing my own music, I have yet to work with an outside producer. Caleb Stine, a local songwriter in Baltimore and a close personal friend noticed that I was writing more intimate, personal, storytelling songs on piano, over the last year and asked to help produce a collection of songs with me that focus specifically on the craft of great songwriting. 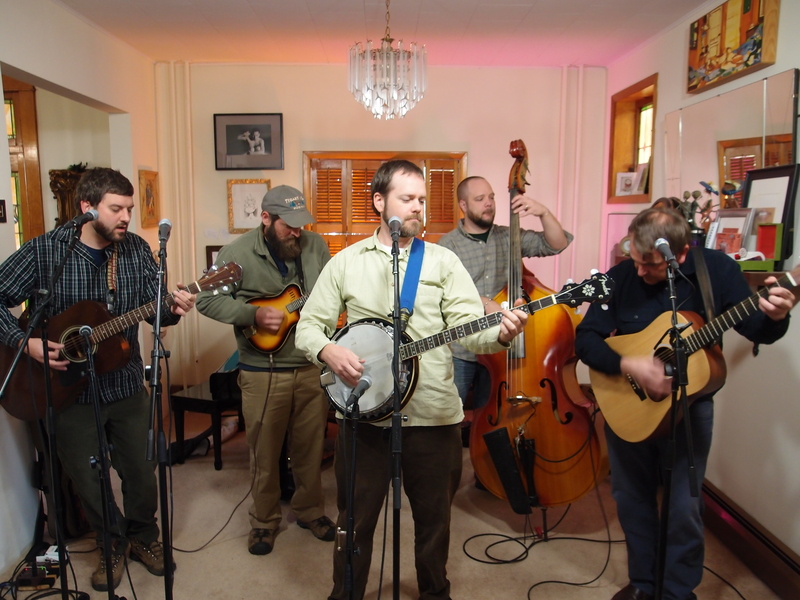 We began working on this project as the songs showed up, late in 2009 and early 2010, but took a break for the summer gigging season. We decided to use this Winter--typically not a busy time for traveling songwriters--to really dig into what makes a great song: listening to some of the masters (Leonard Cohen, Joni Mitchell, Paul Simon, Tom Waits, etc. 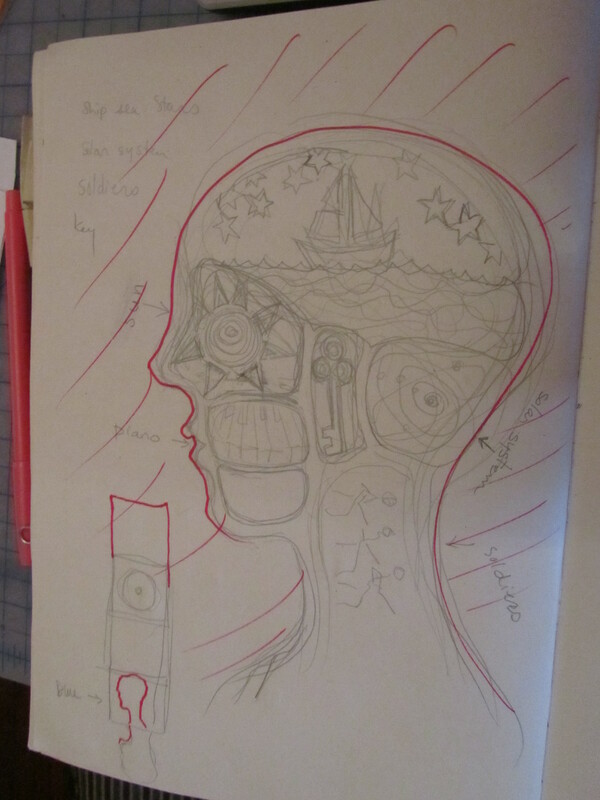 ), reading about songwriting and writing prose, poetry and diary entries. Caleb's influence has been to keep me disciplined about writing every day, even if it is not song lyrics. We are also studying and pulling ourselves through the arduous process of crafting each single line in a song--searching for the most descriptive line or rhyme and really looking for the best way to convey meaning to the listener. This is my most personal work yet and I'm both excited and afraid to be presenting it to the public. Next week, we will begin recording the songs that are closest to completion. We are recording with master recordist and engineer, Nick Sjostrom, who helped me record 2010's "(New) Years." The second facet of this project is the piano. I have been primarily a guitarist for the last 15 years, returning to the piano for a song or two on each album. These songs have appeared to me as piano songs and I'm excited to improve my technique and skill on the piano through careful practice and learning other people's songs. Already, in a few short weeks of rehearsal, I can feel my body growing stronger. My willingness to experiment on the piano and my curiosity about how chords work and flow together, has also grown by leaps and bounds. It is again a revelation that I will never stop learning! This EP will be ready to present to audiences in March 2012 and that it will help to inspire, comfort and move people who hear it, the way I have been moved by so many great compositions in the past. 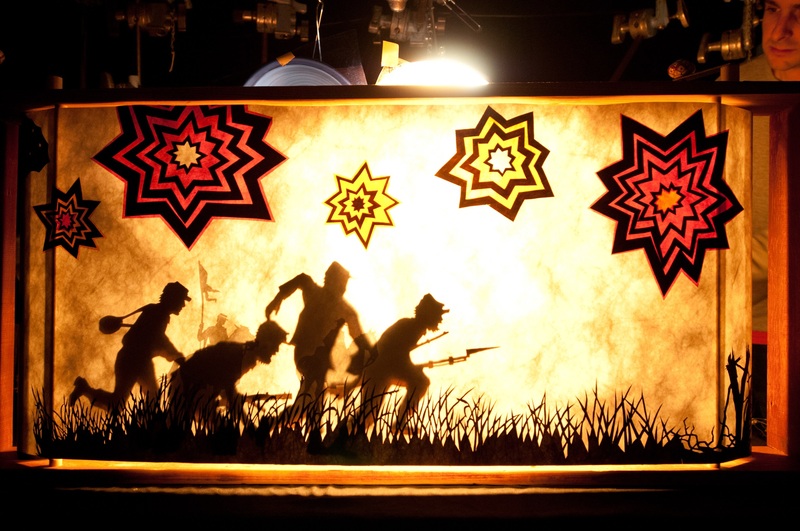 I am collaborating with Katherine Fahey (www.2hawks2fishes.com) on both a special edition cd that will have papercut and interactivity, as well as a "crankie" shadow puppet piece based on one of the songs "Pickett's Charge." Sac be Written in Mexico Feb. 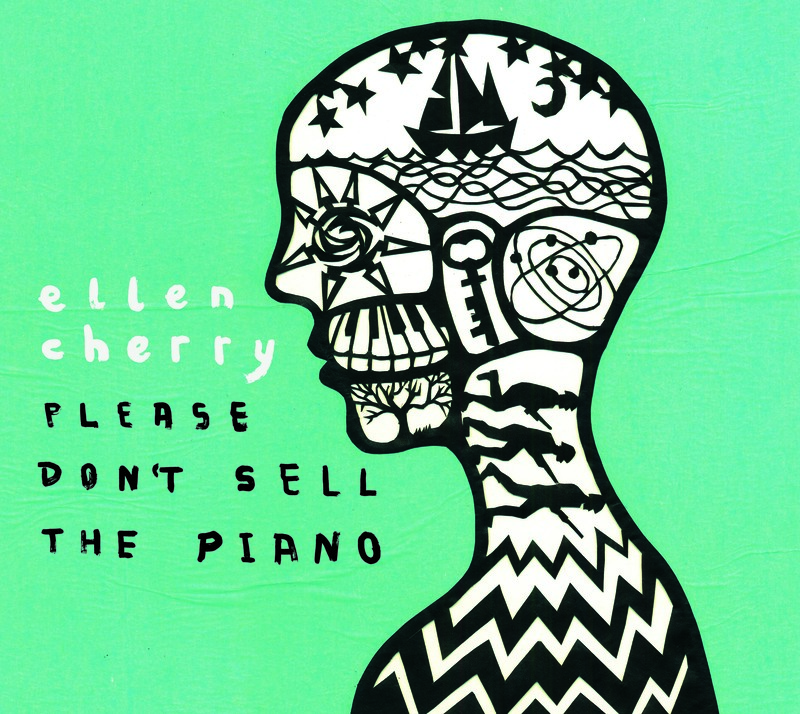 Songs by ellen cherry. Album produced by Caleb Stine and recorded by Nick Sjostrom. 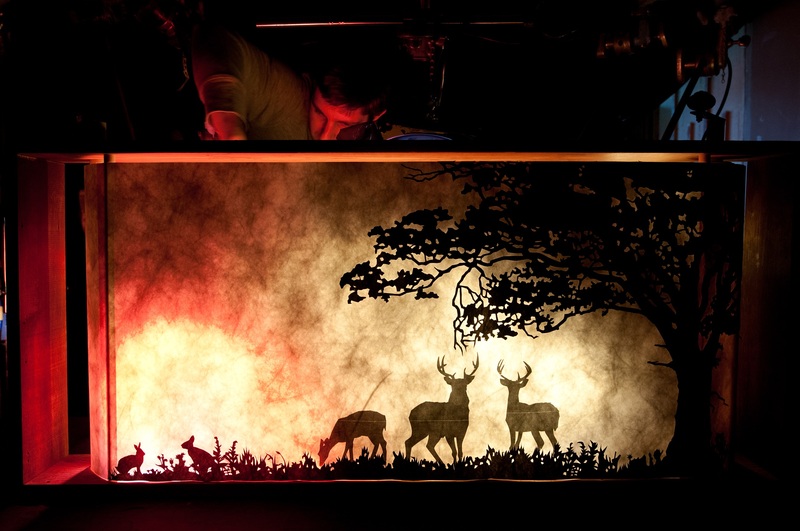 Cover art is a paper-cut created by Katherine Fahey. Type design is by Scott Dennison. Mobtown Moon (ALBUM/RECORDING)--Classic Pink Floyd, Re-imagined in Baltimore! interpretation with compelling flavors of jazz, rock, bluegrass, gospel, classical, and even hip-hop. An ambitious project that took three years to plan and produce, Mobtown Moon is the brainchild of pianist/vocalist and former CityPaper columnist Sandy Asirvatham with her co-producer, the award-winning singer-songwriter ellen cherry. 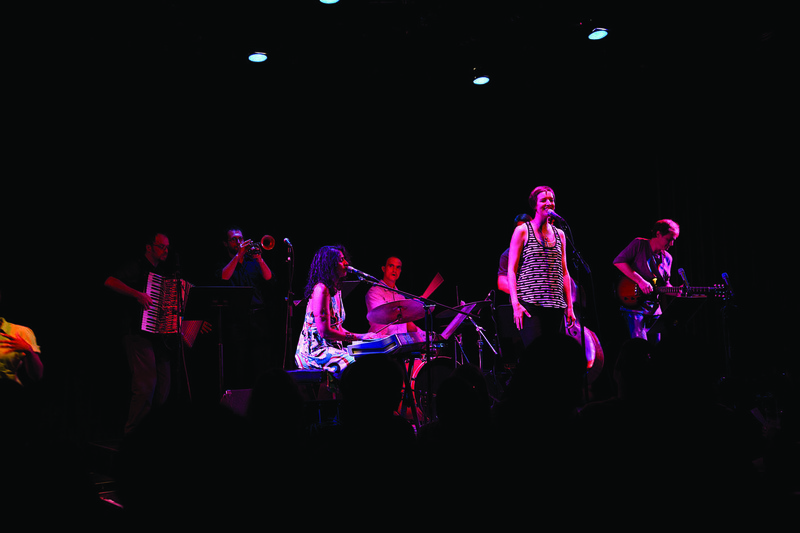 The studio CD Mobtown Moon involved 40 local artists and was released in May 2013 to wide acclaim. CityPaper hailed it as “wildly eclectic yet consistently absorbing,” and Baltimore Magazine honored with a “Best of Baltimore” award. 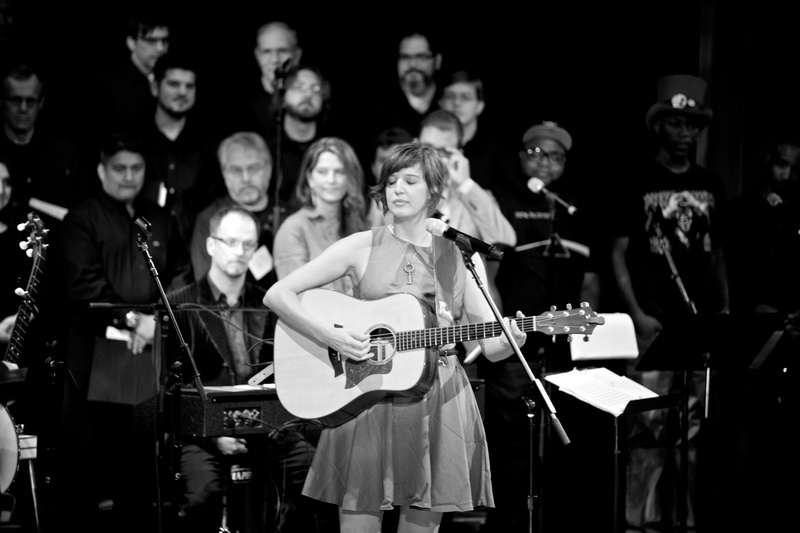 Following a series of sneak-peek performances in 2012 and early 2013, the September 28 event was the first time the album will be performed in its entirety. New versions of hits like “Money” and “Us and Them” will delight longtime Floyd fans and attract new listeners. The project highlights the beautiful melodies and lyrics of these well-crafted songs. ellen cherry acted as Art Director for the cover of the album and commissioned the cover art from Baltimore area painter, Sylvia Ortiz. 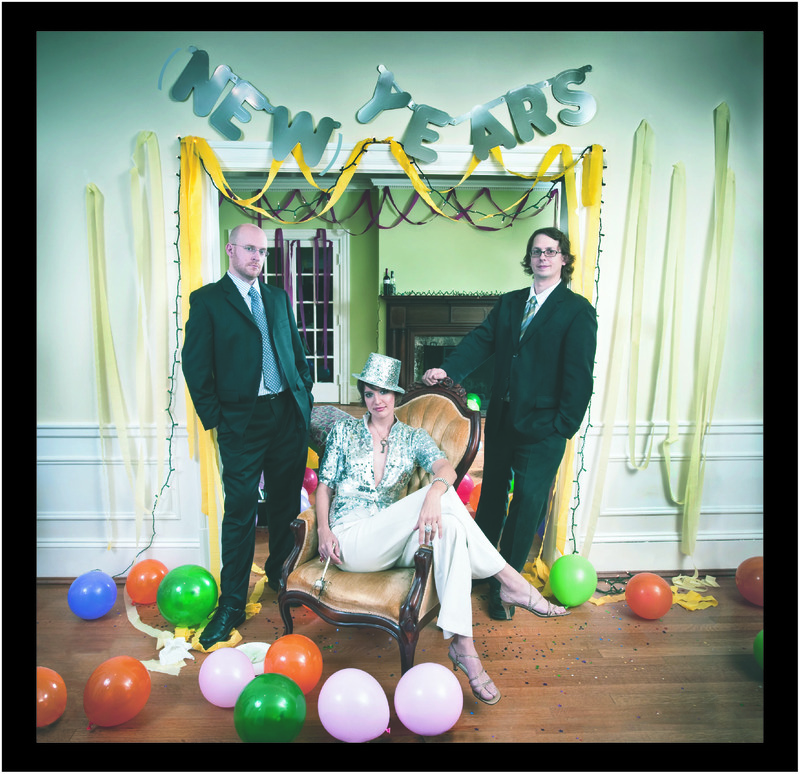 The album design was directed by ellen cherry and completed by local graphic artist, Scott Dennison. cherry's intention was to use as many Baltimore area artists as possible for the entire scope of the project to bring Baltimore's talents to the world, using the Pink Floyd fan base as a platform, while illustrating a high respect for the source material. 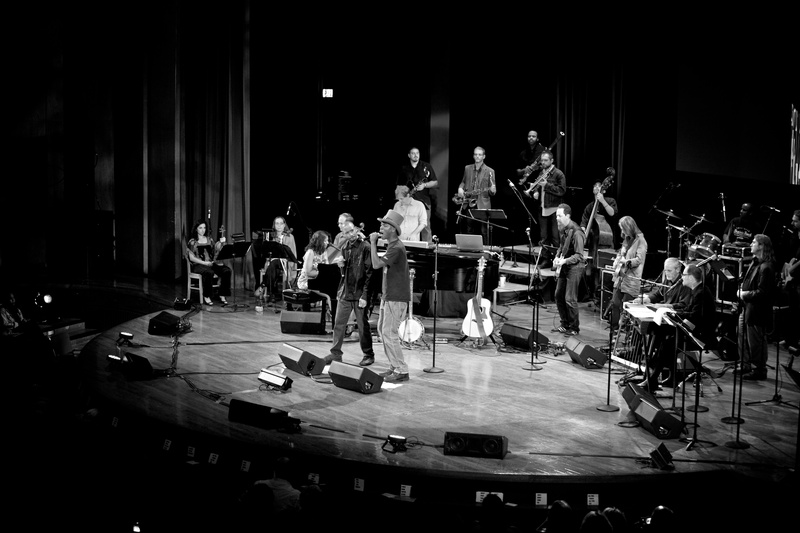 2) to bring together rock, jazz, classical, and other styles of music and diverse performers from across many different Baltimore "scenes"
Our CD, Mobtown Moon, was released on April 2013 and we held our world premiere performance at the Kraushaar on September 28, 2013 to an audience of 750 people. from the Mobtown Moon full album, featured vocalists: activist and singer, Lea Gilmore. Arranged by Sandy Asirvatham. from the Mobtown Moon full album. Arranged by Sandy Asirvatham. An original lyric-composition by The 5th L, commissioned by co-producers Sandy Asirvatham and ellen cherry and from the Mobtown Moon full album, featured vocalists: Femi the Dri Fish and David Ross. from the Mobtown Moon full album, featured vocalists: Cris Jacobs. Arranged by Sandy Asirvatham, Cris Jacobs, Mike Gambone, Jake Leckie. from the Mobtown Moon full album, featured vocalists: ellen cherry. Arranged by Sandy Asirvatham. 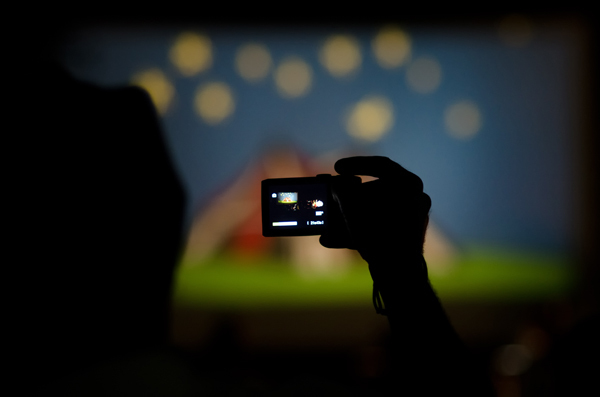 to raise funds and awareness, co-producers Sandy Asirvatham and ellen cherry produced a "preview" show in September 2012 at the Creative Alliance. The show featured a smaller cast from the recording to showcase the new arrangements. from the Mobtown Moon full album, featured vocalists: Sandy Asirvatham and ellen cherry. Arranged by ellen cherry and using "found sounds" from the City of Baltimore. from the Mobtown Moon full album, featured vocalists: Sandy Asirvatham and ellen cherry. Arranged by Sandy Asirvatham. ellen cherry served as the "visual alchemist" for the Mobtown Moon project and art-directed the cover of the album, working with painter Sylvia Ortiz to create this "new interpretation" of Storm Thorgerson's iconic Dark Side of the Moon album art. Mobtown Moon is a new interpretation of Pink Floyd's The Dark Side of the Moon in honor of it's upcoming 40th anniversary. Our genre-defying version of this classic album highlights the lyrical and melodic beauty of the original, by taking the songs out of their stadium-rock context and reconsidering them from a grown-up, singer-focused perspective. Co produced by myself and my friend and musician, Sandy Asirvatham. Our first "deliverables" are a full-length CD, that was released in spring 2013 and a world premiere performance at the Kraushaar (Goucher auditorium) on September 28, 2013. As Art Director for this project, at our live performance this fall, I determined the look and feel and Sandy created expansions/elaborations of our music in order to create a full-length show with intermission. (Our studio album itself is only 49 minutes long.) The project was created in part to highlight the eclectic music and arts scene in Baltimore by giving the stage over to 50+ Baltimore area musicians (Sandy and I also performed), ranging in genres from hip-hop to jazz, bluegrass to opera. Our band consisted of 24 musicians and we additionally welcomed 27 members of the Baltimore Choral Arts Society. We promoted the performance for 10 months, garnering an audience of 750 people. In 2014, I and Sandy will continue to push Mobtown Moon to other audiences in other cities and have plans to book a smaller version of the show (only 20 musicians) in Philadelphia, Washington DC and Rockville. In 2015, we will produce a second Baltimore area show to welcome back fans from the first performance and gain an even wider audience for both the album and a rotating roster of Baltimore's finest and hardest working musicians! Baltimore musicians are reimagining classic Pink Floyd with an ambitious project called Mobtown Moon. 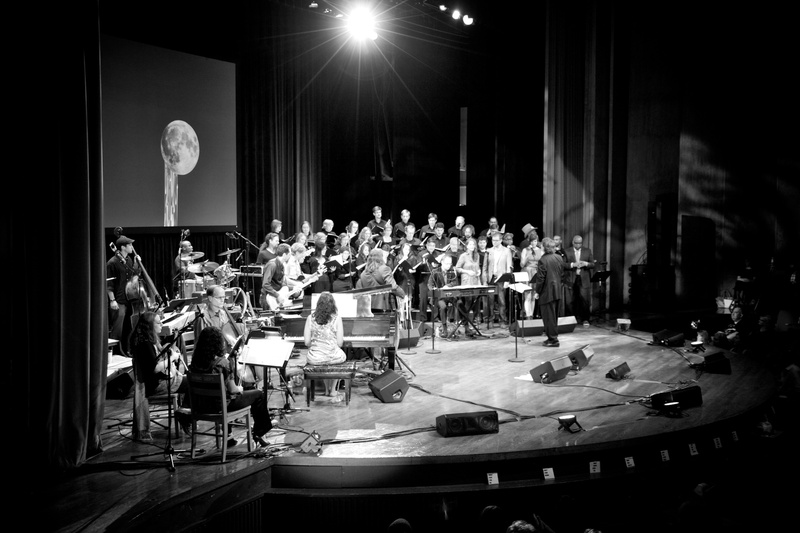 This immense collaboration enlists more than thirty Baltimore musicians from different genres to celebrate the upcoming 40th anniversary of the Dark Side of the Moon with a recording and concerts. 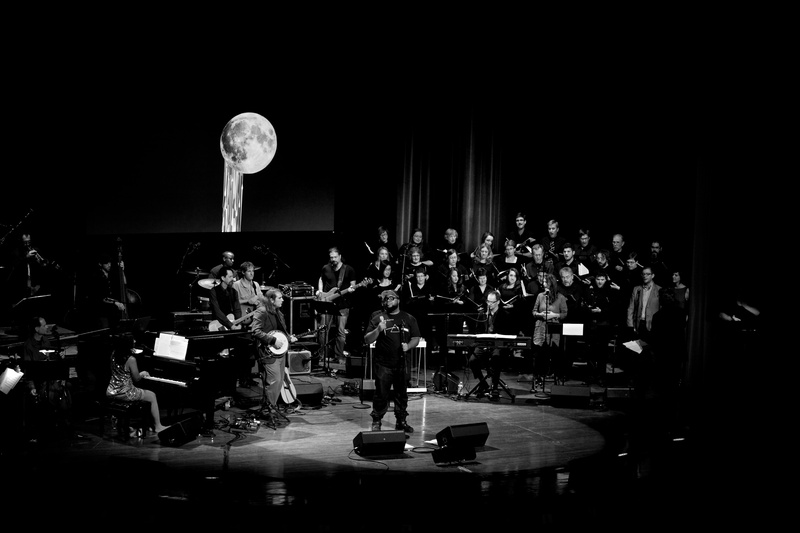 Unlike a typical note-for-note replay of the original album, Mobtown Moon features fresh new arrangements, infusing these classic rock songs with elements of jazz, hip-hop, choral music, and other styles. It pulls the material out of a stadium-rock context to focus on its compelling lyrics and beautiful melodies. Longtime Floyd fans and new listeners alike will hear much that intrigues and pleases. Mobtown Moon is the brainchild of pianist/vocalist and former CityPaper columnist Sandy Asirvatham, and is being co-produced by award-winning singer-songwriter ellen cherry. 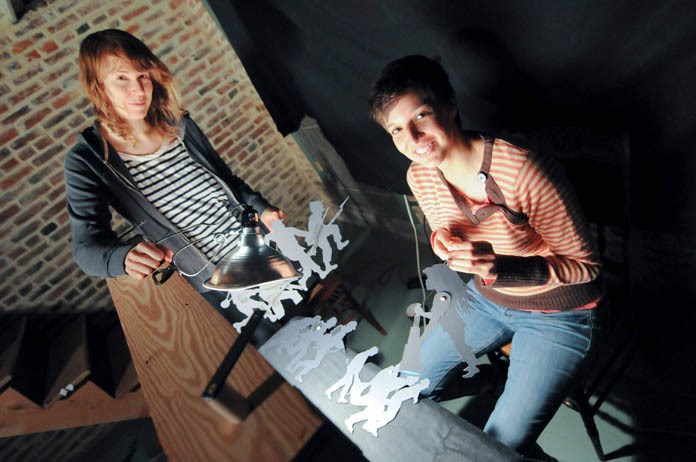 The co-creators publicly introduced the project at a spring 2012 fundraiser in an apt setting: a downtown Baltimore rowhouse. Additional preview concerts drew heavy audiences. A six-week crowdfunding campaign at IndieGoGo raised nearly $6,000 before a local foundation gifted a significant grant. The project still offers opportunities for major donors to “claim a track” as a special executive producer (until December 10) or receive other VIP benefits. 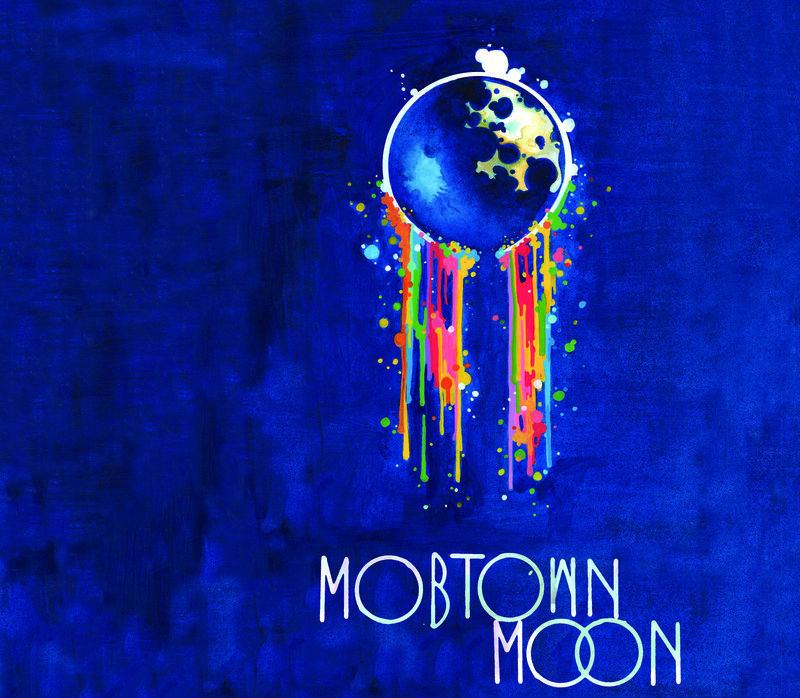 The album Mobtown Moon will be released digitally in March. Physical copies go on sale in April. In September 28, 2013, the full album will be performed at Kraushaar Auditiorium, a popular cultural destination on the campus of Goucher College in Baltimore County, Maryland. 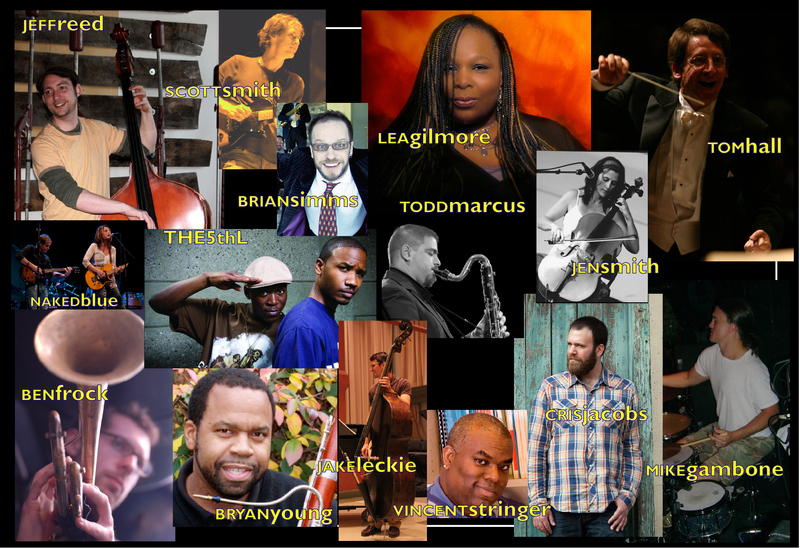 Participating artists span the diversity of Baltimore’s incredibly rich music scene. Featured artists include jam-band guitarist/vocalist Cris Jacobs, gospel singer Lea Gilmore, folk-rock trio We’re About 9, rap duo The 5th L, and jazz heavyweights Russell Kirk (alto sax) and Todd Marcus (bass clarinet).The city’s classical tradition is represented by Baltimore Choral Arts Society (venerated conductor Tom Hall), Poulenc Trio bassoonist Bryan Young, and Morgan State University’s opera director Vincent Dion Stringer. Mobtown Moon has partnered with several Baltimore nonprofits, including Hearing and Speech Agency of Baltimore (HASA). 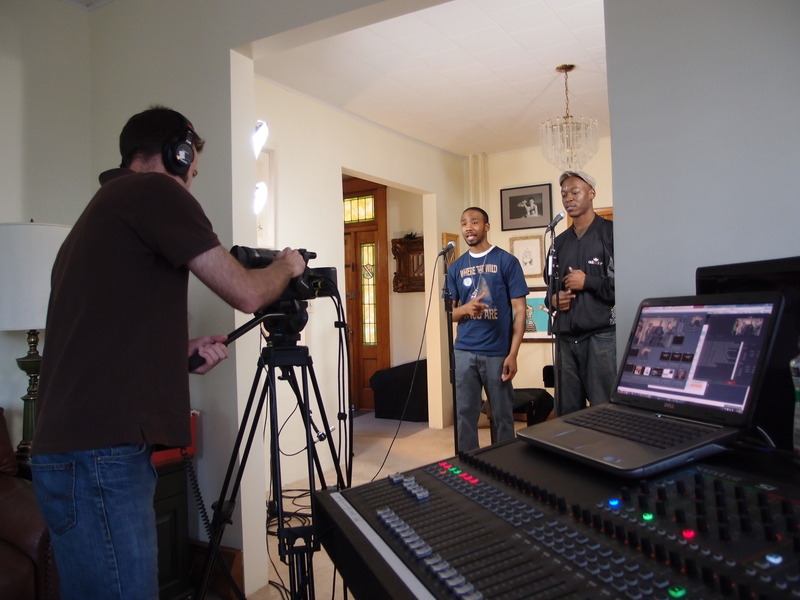 HASA and Mobtown Moon asked local citizens to record interesting sounds from city streets and neighborhoods. The resulting “found sounds” are being layered into the recording as another genuine Baltimore stamp on the project. Patrick Harnett's video visual is viewable in the background. ellen cherry performs "Wish You Were Here" on stage at the Mobtown Moon performance.